The 10 Best Ice Cream Parlors in Iowa! America’s love for ice cream has lived on for as long as we can remember, and more specifically, that feeling of sitting down at an ice cream shop amongst the community you belong to. 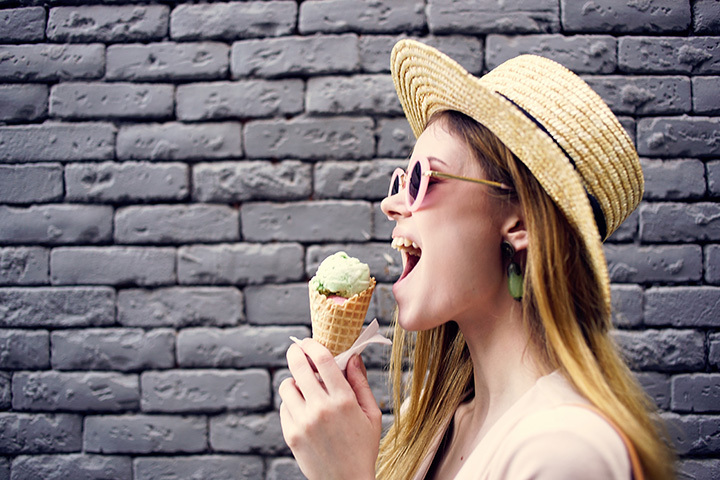 Nothing quite beats that experience, and luckily throughout the state of Iowa, you can find local ice cream spots looking to cater to your sweet tooth. Your best bet to find these ice cream experiences can be found with these 10 best ice cream parlors in Iowa. Touted as the sweetest place on earth, not only does a lot of your favorite Blue Bunny Ice Cream products come from Le Mars, but Blue Bunny themselves have set up the perfect shop in Le Mars for you to enjoy all the flavors of their iconic ice cream. The Blue Bunny Ice Cream Parlor features over 40 flavors to choose from, and a lengthy menu on how to enjoy them, and above all, an incredibly cozy and nostalgic atmosphere to take back to the days of soda jerks and ice cream parlors. Located on Water Street in Madrid, the Filling Station provides the perfect additive to fuel a fun-filled summer day. While at first the Filling Station might seem like a simple business, offering eight flavors and a small storefront on the streets of Madrid, but see this place on a sunny Saturday or late summer evening, and all crowds of people that gather together eating ice cream, and you’ll see as simple as it may seem, the Filling Station provides a big role in the Madrid community and beyond. Open seven days a week throughout the year, Goldie’s Ice Cream Shoppe doesn’t just have the flavors and ice cream servings you’re looking for, but to pair nicely with your frozen treat of choice, Goldie’s also provides a lengthy menu of some of Iowa’s famous fares. Whether it’s a breaded tenderloin to go alongside your sundae, or you opt for a burger before your malt, you’ll taste for yourself why Goldie’s is the complete collection when it comes to a fun time dining out in Iowa. When you first take a step into Birdsall’s Ice Cream Shop in Mason City, don’t be surprised if it feels just like walking into your own home. Not only does the cozy environment and inviting aroma make you feel at ease when walking into Birdsall’s, but the people inside, including the owners, are always happy to see you and share a seat. Whether you go for a chocolate malt or stack the scoops up on a cone, you’ll see for yourself what makes you want to stay awhile while visiting Birdsall’s in Mason City. Graham’s Dairy is a self-touted secret sweet spot on the streets of Ottumwa, but with all the different flavors to explore at this celebrated corner store, the secret won’t remain that for long. Featuring rotating specialty flavors, not only is the ice cream worth visiting for at Graham’s, but the many ways they serve up the fun, including sundaes, shakes, parfaits, flurries and more, will give you a good reason to come back for more. At either Heyn’s location in Iowa City or North Liberty, you can not only expect that friendly service you hope for at a local ice cream shop, but because Heyn’s makes all their ice cream in-house, you can expect some of the best, hand-crafted scoops in the state. Heyn’s ice cream utilizes 14 percent buttermilk fat in their ice cream, meaning on your next visit you’ll receive some of the richest, smoothest and easily most delicious ice cream you’ve ever had the joy to experience. Located on Beaver Avenue in Des Moines, Snookies Malt Shop is a family-orientated destination to get some of the best shakes, malts and ice cream in the metro. The retro environment immediately draws you in at Snookies, and the friendly faces behind the counter invite you to stay awhile while visiting this Des Moines ice cream staple, but it’s the wide variety of ice cream flavors and treats that will have you coming back to Snookies Malt Shop for years to come. Van Dee’s Ice Cream Shoppe in Johnston is a family-friendly establishment that provides not only your favorite flavors of ice cream, but also many flavors you didn’t know you loved so much. A great place to bring all the kids, or sneak off to by yourself, don’t be surprised when you’re enticed to stay awhile at the welcoming storefront and surrounding seating areas of Van Dee’s, just be sure to take your time picking out which flavor you’ll enjoy today. Over the Top in Pleasant Hill offers fabulicious ice cream treats plus a wide selection of ice cream cakes and novelty desserts. Featuring exclusively house-made products, Over the Top offers over 30 flavors of ice cream to choose from every time you walk through the door, and whether you go with something you know to be your favorite, or you feel more adventurous and try a new one, just know that between the 29 you didn’t choose to scoop in a cone, there are plenty more reasons to make a trip to Over the Top a weekly occurrence. The Junction Creamery in Osceola is a hometown favorite, and with the wide variety of flavors, all of which seem to inspire the perfect summer afternoon, there’s no doubt that Junction Creamery will be here for years to come. Step up to the ordering window this summer, and enjoy your cone on the outdoor seating area, and see for yourself why the summer months and the Junction Creamery go together to make a great time.